Zimbra is one of best open source mail server which is widely use in many organization. It’s also know as zimbra collaboration suite ( ZCS ) which comes with two edition Open source edition (free) and Network edition (paid ). 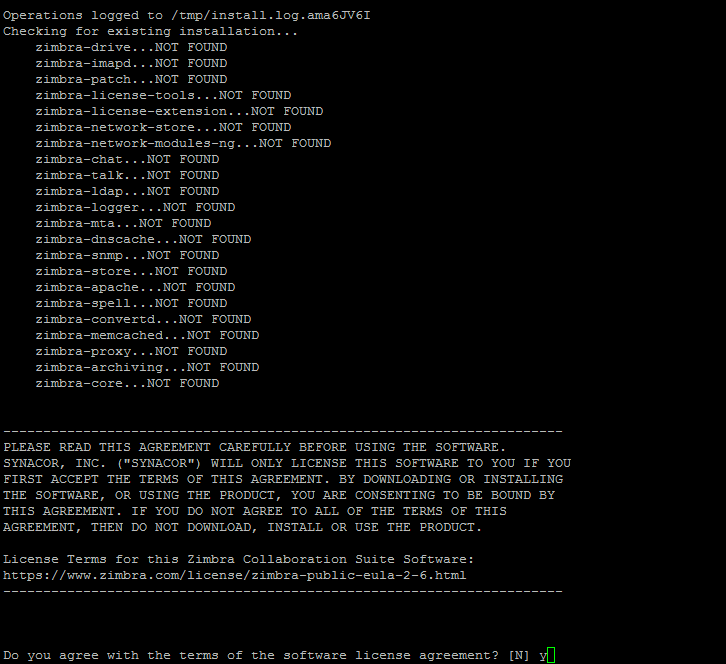 Here we will see steps how to install zimbra open source edition. 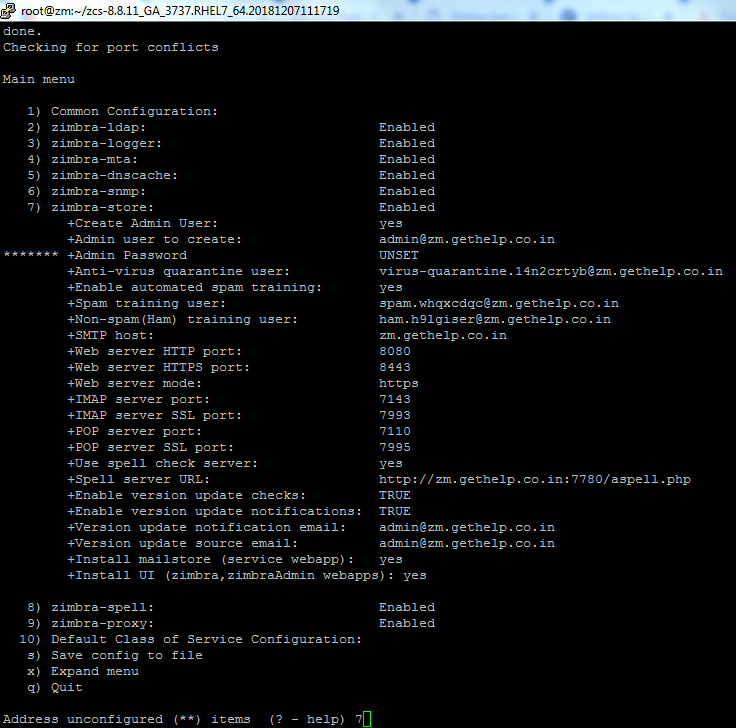 A fresh Centos 7 without any installation like mail, database etc. 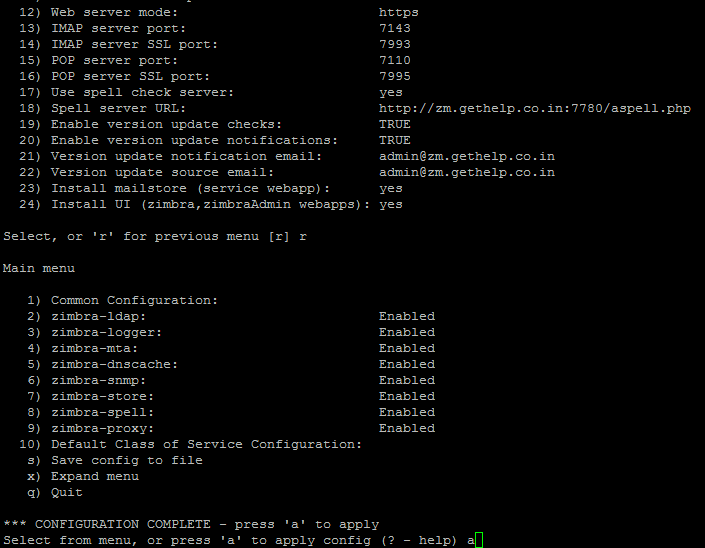 DNS server with A and MX record which should point on zimbra server IP. Before starting this installation we should update OS and set hostname. Here we are using zm.gethelp.co.in which is fully qualified domain name. After updating hostname we will update os and reboot server. Now login to server after reboot and verify hostname. we can see it’s returning hostname. Before starting installation we need to install following packages. After downloading we need unzip compressed file. After accepting agreement, it will ask to install zimbra packages press Y to install. 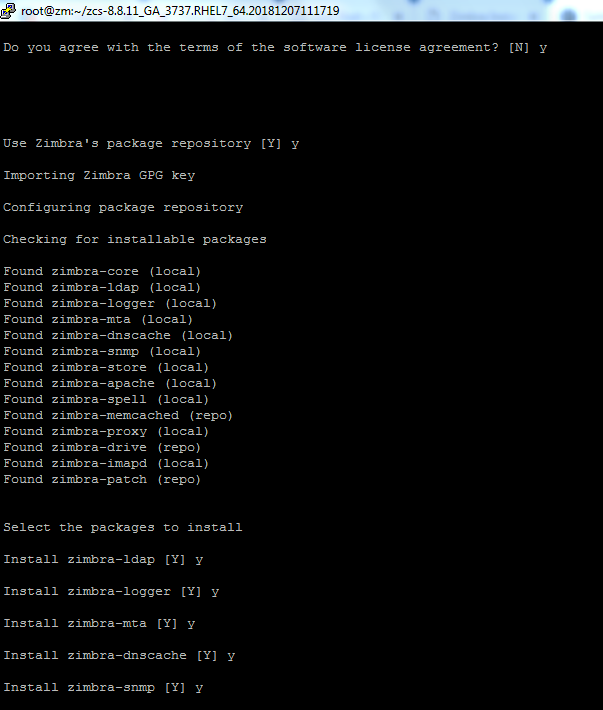 Now it will start installation of zimbra. After pressing 7 it will enter in store configuration where you need to press 4 to set admin password. Now press 4 to set admin password. Press a to apply changes. 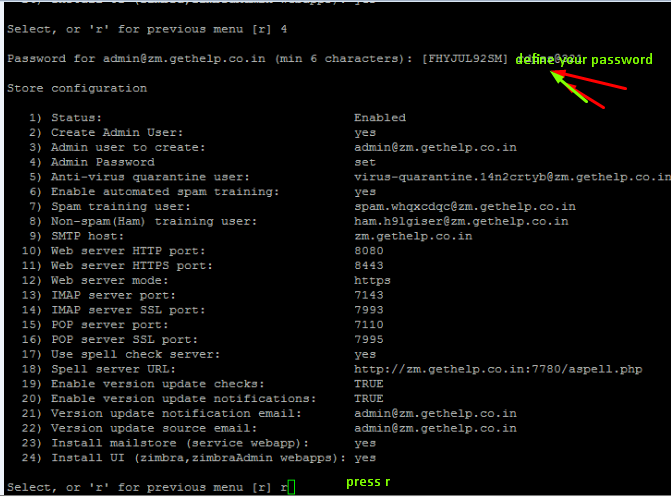 If you unable to access admin panel so you can check service status by running below command. If you will see any service is not running so you can start by using below command. Hope you have enjoyed this tutorial. Kindly drop your feedback in comment section.